The Rivers are 3-piece Hard Rock Band from North Bay Ontario. The 3 boys are driven and work full time on their music with the goal of becoming Canada’s next big thing. Josh Berry (Vocals/Guitar), Jared Dorcas (Bass), Kyle Poulin (Drums) are three highly skilled musicians who have grown up dedicating hours and hours to performing arts and their music. Each of them has been writing and performing music since childhood. Josh Berry (Vocals/Guitar) is known for performing with his Hand-Made Guitars, he often favors his Hand-Made Telecaster. Josh Grew Up on Eagle Lake just west of South River (A small town in Ontario) where he got his start performing in cottages and camps for local music enthusiasts. He is often compared to Gord Downie (The Tragically Hip), Dallas Green (City & Colour), and Robert Plant (Led Zeppelin) with his powerful voice, and Slash (Guns & Roses), Jimi Hendrix (Solo Artist) for his outstanding guitar playing. Jared Dorcas (Bass) started playing the guitar at 9 years old and later switched to the Bass Guitar. Jared’s love for the Bass Guitar is evident in his energetic live performances and stage presence. He is inspired by many Classic Rock Bands from the 1960s and 1970s, and takes inspiration from musicians such as John Paul Jones (Led Zeppelin), Geezer Butler (Black Sabbath), Geddy Lee (Rush) and is often compared to all three. When Jared is not Performing in The Rivers, he teaches music to pass on his knowledge to others. Kyle Taylor (Drums) is a Self taught musician who has been drumming since he was 2 years old. Starting out on Pots and Pans, he was given his first drum kit when he was 5-6 years old and logged as many hours as he could in a day playing along to his favorite songs. Kyle finds loads of Inspiration in his hero’s Dave Grohl & Taylor Hawkins (Foo Fighters), Ray Luzier (Korn), and Joey Jordison (Slipknot), however Kyle often looks for inspiration in Local Music around North Bay, often taking notes from Cory Marquardt, Alex Lajambe, and Mike Foisy; but he is often compared to Dave Grohl of Foo Fighters. Since The Rivers formed in 2015 they have not stopped writing, performing and recording. Their music has been heard all over the world being played in China, Japan, England, and Scotland a couple major cities in the USA, and all over Canada. The Band has also gone international with their Live Shows performing two nights in Varadero, Cuba. However they are commonly recognized in the Toronto music scene, playing multiple shows at The Horseshoe Tavern, Lee’s Palace, and Sneaky Dee’s. They have also played many shows on their home stage in North Bay, including North Bays Summer In The Park and they’ve also hit the road to play shows in Sudbury, Orillia, Huntsville, and more places around Ontario. In fact, The Rivers’s first EVER show was broadcasted live on CTV in December of 2015 when the band was only few months old. The band then saw recognition when their song “Weather Man” hit the airwaves on 101.9FM Rock on Bryan Floyds “INDIE HOUR” in Early 2016, and the home crowd has sung along to the tune ever since. 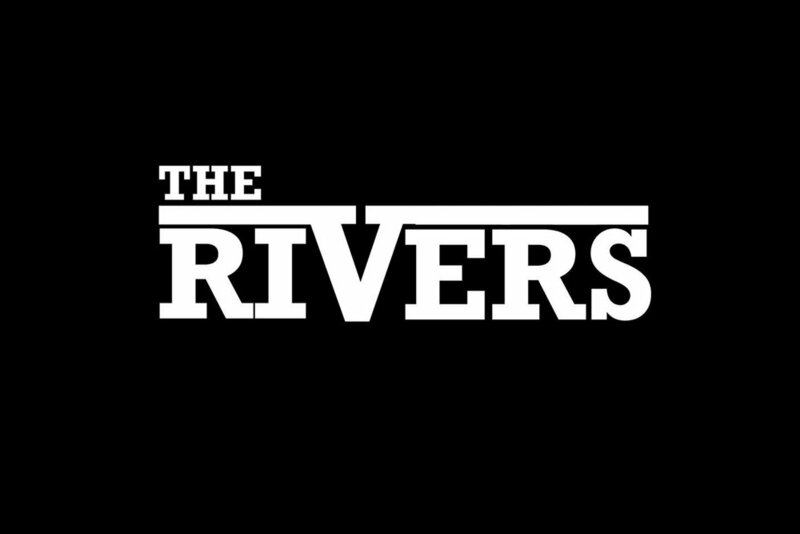 In March 2017 The Rivers released their Debut EP called “Driven” featuring 3 of their original songs “Good”, “Woman Ways” and their most Successful song “The System”. The EP is available on iTunes, Spotify, Amazon, iHeart Radio, and many more music distribution outlets. They have also released and Official Music Video for “The System” in May of 2017. During the summer of 2017 after playing multiple shows and festivals, The Rivers made themselves known and recognizable at The Canada 150 edition of North Bay's Summer Festival "Summer In The Park" where they opened up the entire festival on the main stage opening up for bands such as MAGIC! And Marianas Trench. After a recent poll from the North Bay and Area News team, The Rivers Tallied up to being one of most favourited bands of the entire festival. The Rivers is VERY thankful for each and every fan, their friends and family and all the friends they’ve made along the way.